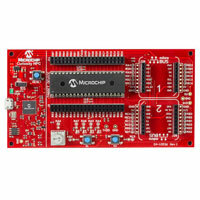 Having shipped over 15 billion Peripheral Interface Controller (PIC) microcontrollers, it's not surprising Microchip is synonymous with semiconductors and integrated circuits. For over 90,000 customers in 65 countries Microchip Technology provides a low-risk product development path, low total system cost and faster time to market for a vast array of applications and markets. 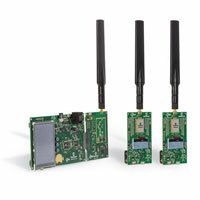 Covering the full performance spectrum for embedded microcontrollers including 8-bit, 16-bit, and 32-bit families, supported by wide range of easy-to-use development tools, Touch & Gesture Sensing Solutions. Using award winning technology covering multiple types of implementations for touch and other input sensing applications including across the PIC Microcontroller range. Focussing on power management, amplifiers, linear, thermal management and interface Integrated Circuits (ICs). 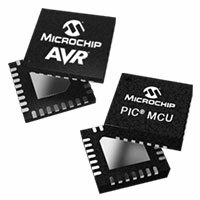 Perfect for emerging applications and the Internet of Things (IoT) Microchip's broad range includes transmitters, receivers, transceivers and ZigBee, Bluetooth, Sub-GHz and Wi-Fi modules. Supporting the product portfolio is a wide range of development kits, evaluation boards, modules and software to make development faster and reduce time to market. Founded in 1989 Microchip generated sales of 2.161 billion USD in fiscal year 2015. Headquartered in Chandler, Arizona, employing over 9,400 members of staff in a network of 50 sales offices, 3 manufacturing facilities and 20 development centres. With next day delivery of products direct from stock, Microchip Technology and RS Components offer customers a broad range of products for industrial applications and new technologies. over 10 years battery life.